The domain within your query sequence starts at position 34 and ends at position 153; the E-value for the FRI domain shown below is 9.06e-73. Drosophila melanogaster frizzled mediates signalling that polarises a precursor cell along the anteroposterior axis. Homologues of the N-terminal region of frizzled exist either as transmembrane or secreted molecules. Frizzled homologues are reported to be receptors for the Wnt growth factors. 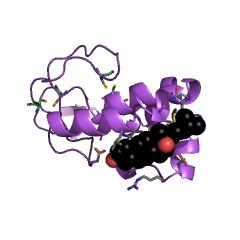 (Not yet in MEDLINE: the FRI domain occurs in several receptor tyrosine kinases [Xu, Y.K. and Nusse, Curr. Biol. 8 R405-R406 (1998); Masiakowski, P. and Yanopoulos, G.D., Curr. Biol. 8, R407 (1998)]. 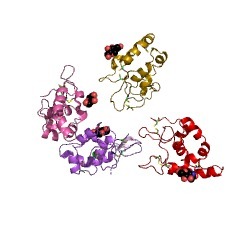 The Frzb family; secreted frizzled-like proteins. 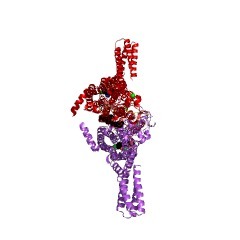 Smoothened; another 7TM receptor involved in hedgehog signaling. 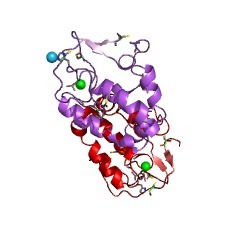 Transmembrane serine protease corin (atrial natriuretic peptide-converting enzyme). 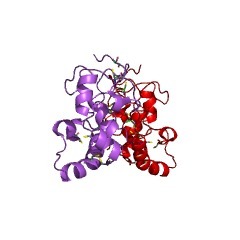 Two receptor tyrosine kinases (RTKs) subfamilies, the Ror family and the muscle-specific kinase (MuSK) family. 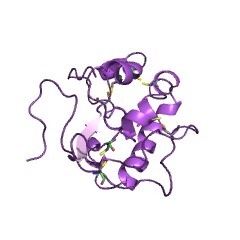 As the fz domain contains 10 cysteines which are largely conserved, it has also been called cysteine-rich domain (CRD) [(PUBMED:7876242)]. 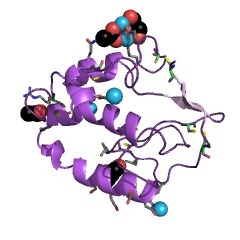 The fz domain also contains several other highly conserved residues, for example, a basic amino acid follows C6, and a conserved proline residues lies four residues C-terminal to C9 [(PUBMED:9852758)]. 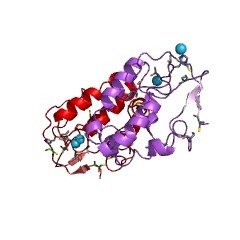 The crystal structure of a fz domain shows that it is predominantly alpha-helical with all cysteines forming disulphide bonds. In addition to helical regions, two short beta-strands at the N terminus form a minimal beta-sheet with the second beta sheet passing through a knot created by disulphide bonds [(PUBMED:11452312)]. Several fz domains have been shown to be both necessary and sufficient for Wg/Wnt ligand binding, strongly suggesting that the fz domain is a Wg/Wnt interacting domain [(PUBMED:8717036), (PUBMED:9326585)]. There are 7631 FRI domains in 6896 proteins in SMART's nrdb database. Taxonomic distribution of proteins containing FRI domain. This tree includes only several representative species. The complete taxonomic breakdown of all proteins with FRI domain is also avaliable. Click on the protein counts, or double click on taxonomic names to display all proteins containing FRI domain in the selected taxonomic class. The Wnt proteins constitute a large family of extracellular signalling molecules that are found throughout the animal kingdom and are important for a wide variety of normal and pathological developmental processes. Here we describe Wnt-inhibitory factor-1 (WIF-1), a secreted protein that binds to Wnt proteins and inhibits their activities. WIF-1 is present in fish, amphibia and mammals, and is expressed during Xenopus and zebrafish development in a complex pattern that includes paraxial presomitic mesoderm, notochord, branchial arches and neural crest derivatives. We use Xenopus embryos to show that WIF-1 overexpression affects somitogenesis (the generation of trunk mesoderm segments), in agreement with its normal expression in paraxial mesoderm. In vitro, WIF-1 binds to Drosophila Wingless and Xenopus Wnt8 produced by Drosophila S2 cells. Together with earlier results obtained with the secreted Frizzled-related proteins, our results indicate that Wnt proteins interact with structurally diverse extracellular inhibitors, presumably to fine-tune the spatial and temporal patterns of Wnt activity. Frizzled signalling controls orientation of asymmetric sense organ precursor cell divisions in Drosophila. During metazoan development, cell-fate diversity is brought about, in part, by asymmetric cell divisions. In Drosophila, bristle mechanosensory organs are composed of four different cells that originate from a single precursor cell, pI, after two rounds of asymmetric division. At each division, distinct fates are conferred on sister cells by the asymmetric segregation of Numb, a negative regulator of Notch signalling. Here we show that the orientation of the mitotic spindles and the localization of the Numb crescent follow a stereotyped pattern. Mitosis of pI is orientated parallel to the anteroposterior axis of the fly. We show that signalling mediated by the Frizzled receptor polarizes pI along this axis, thereby specifying the orientation of the mitotic spindle and positioning the Numb crescent. The mitoses of the two cells produced by mitosis of pI are orientated parallel and orthogonal, respectively, to the division axis of pI. This difference in cell-division orientation is largely independent of the identity of the secondary precursor cells, and is regulated by Frizzled-independent mechanisms. 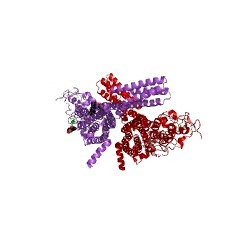 A member of the Frizzled protein family mediating axis induction by Wnt-5A. In Xenopus laevis embryos, the Wingless/Wnt-1 subclass of Wnt molecules induces axis duplication, whereas the Wnt-5A subclass does not. This difference could be explained by distinct signal transduction pathways or by a lack of one or more Wnt-5A receptors during axis formation. Wnt-5A induced axis duplication and an ectopic Spemann organizer in the presence of hFz5, a member of the Frizzled family of seven-transmembrane receptors. Wnt-5A/hFz5 signaling was antagonized by glycogen synthase kinase-3 and by the amino-terminal ectodomain of hFz5. 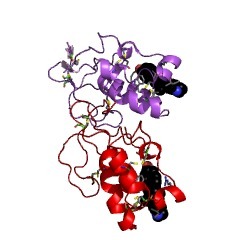 These results identify hFz5 as a receptor for Wnt-5A. Convincing evidence has accumulated to identify the Frizzled proteins as receptors for the Wnt growth factors. 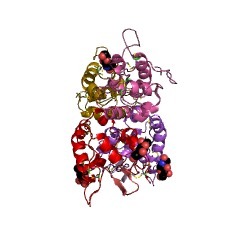 In parallel, a number of secreted frizzled-like proteins with a conserved N-terminal frizzled motif have been identified. 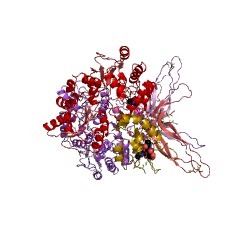 One of these proteins, Frzb-1, binds Wnt-1 and Xwnt-8 proteins and antagonizes Xwnt-8 signaling in Xenopus embryos. Here we report that Frzb-1 blocks Wnt-1 induced cytosolic accumulation of beta-catenin, a key component of the Wnt signaling pathway, in human embryonic kidney cells. Structure/function analysis reveals that complete removal of the frizzled domain of Frzb-1 abolishes the Wnt-1/Frzb-1 protein interaction and the inhibition of Wnt-1 mediated axis duplication in Xenopus embryos. In contrast, removal of the C-terminal portion of the molecule preserves both Frzb-Wnt binding and functional inhibition of Wnt signaling. 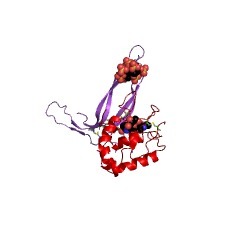 Partial deletions of the Frzb-1 cysteine-rich domain maintain Wnt-1 interaction, but functional inhibition is lost. Taken together, these findings support the conclusion that the frizzled domain is necessary and sufficient for both activities. Interestingly, Frzb-1 does not block Wnt-5A signaling in a Xenopus functional assay, even though Wnt-5A coimmunoprecipitates with Frzb-1, suggesting that coimmunoprecipitation does not necessarily imply inhibition of Wnt function. 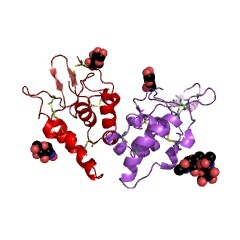 A family of secreted proteins contains homology to the cysteine-rich ligand-binding domain of frizzled receptors. 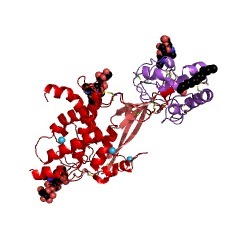 This paper describes the identification of a new family of mammalian genes that encode secreted proteins containing homology to the cysteine-rich ligand-binding domain found in the frizzled family of transmembrane receptors. 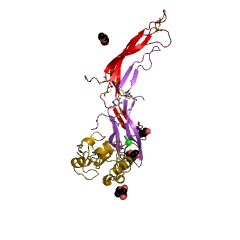 The secreted frizzled-related proteins (sFRPs) are approximately 30 kDa in size, and each contains a putative signal sequence, a frizzled-like cysteine-rich domain, and a conserved hydrophilic carboxy-terminal domain. The sFRPs are not the products of differential splicing of the known frizzled genes. Glycosylphosphatidylinositol-anchored derivatives of sFRP-2 and sFRP-3 produced in transfected human embryonic kidney cells confer cell-surface binding by the Drosophila Wingless protein. These observations suggest that sFRPs may function in vivo to modulate Wnt signaling, or, alternatively, as novel ligands for as yet unidentified receptors. 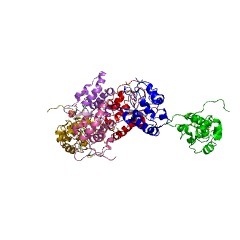 Receptors for Wingless and other signalling molecules of the Wnt gene family have yet to be identified. We show here that cultured Drosophila cells transfected with a novel member of the frizzled gene family in Drosophila, Dfz2, respond to added Wingless protein by elevating the level of the Armadillo protein. Moreover, Wingless binds to Drosophila or human cells expressing Dfz2. These data demonstrate that Dfz2 functions as a Wingless receptor, and they imply, in general, that Frizzled proteins are receptors for the Wnt signalling molecules. A large family of putative transmembrane receptors homologous to the product of the Drosophila tissue polarity gene frizzled. Directional non-cell autonomy and the transmission of polarity information by the frizzled gene of Drosophila. The function of the frizzled (fz) locus is required for the development of a parallel array of bristles and hairs on the adult cuticle of Drosophila melanogaster. Marked fz mitotic clones from five alleles were generated and examined in the wing. Three alleles have a non-cell-autonomous hair polarity phenotype; wild-type cells distal to fz clones produce hairs that have an abnormal polarity. In contrast, fz clones of the other two fz alleles examined do not disrupt the polarity of neighbouring cells. These data suggest that fz has two mutably separate functions in establishing hair polarity on the wing. One function involves the transmittance and/or generation of a polarity signal along the proximal-distal axis of the wing. The second function involves the cellular interpretation of a polarity signal. This information is based on mapping of SMART genomic protein database to KEGG orthologous groups. Percentage points are related to the number of proteins with FRI domain which could be assigned to a KEGG orthologous group, and not all proteins containing FRI domain. Please note that proteins can be included in multiple pathways, ie. the numbers above will not always add up to 100%.